He studied sciences and Medicine at the University of Puerto Rico; Surgery at its University Hospital; and Transplantation Surgery and Immunobiology at the University of Minnesota, where he also obtained a Master’s in Science in Experimental Surgery and Immunology. He is former Director of the Surgical Research Laboratory, Associate Dean for Biomedical Sciences, Director of the Graduate School, and Chairman of the Department of Surgery, all at the University of Puerto Rico. He founded and directed the Puerto Rico Renal Transplant Programs and the Histocompatibility Laboratories. He helped found several local and Latin American societies involved with organ transplantation and immunology, as well as the Latin American Transplant Registry. He has presided, co-directed or held committee positions in 35 local, regional and international organizations including ASTS, UNOS, SEOPF, The Transplantation Society, and International Society for Organ Sharing, and participated on 20 editorial boards and 110 local and international committees. He was an early 1970’s member of ASTS and TTS. As researcher, he has published 191 scientific articles on transplantation, preservation, immunology and surgery, 158 abstracts in scientific congresses, in addition to 144 literary, social, education, humanities essays or special medical articles and reviews. He co-edited the only transplant book in Spanish on organ transplantation, with two sold out editions, a book on transplantation and the humanities, and published 3 poetry books. He has dictated 291 invited, guest, keynote, honorary or named lectures. 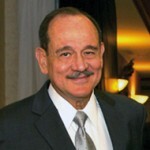 He is currently Distinguished Professor of the University of Puerto Rico and is the Former Director of Renal Transplantation at VA and Auxilio Mutuo Hospitals, Historian of the Latin American and Caribbean Transplantation Society, member of the Puerto Rican Academy of Letters, corresponding member of the Spanish Royal Academy, the Royal Catalan Academy of Medicine, the Academy of Arts and Sciences in Puerto Rico, the American Surgical Association and the American Association of Immunologists, in addition to over 62 professional organizations. He has received 80 professional recognitions and awards including Doctor Honoris Causa from Universidad Central del Caribe, and the dedication of the Transplant Center which carries his name. Dr. Zulma González is a Full Time professor at the Department. She obtained a BS Degree from the University of Puerto Rico, Río Piedras Campus in 1969 and her MD form the UPR, Medical Sciences Campus in 1974. Completed her General Surgery training at the University of Puerto Rico & Affiliated Hospitals Residency program in 1979. In 1982, Dr. González completed a two year fellowship in Transplant Surgery at the Veterans Administration Hospital in San Juan, PR. Was Co- Director of the Puerto Rico Transplant Program at the Auxilio Mutuo Hospital until the year 2012. She has received several awards or distinctions among them the Marie Curie Award in 2006, by the Arts and Sciences Academy of Puerto Rico and is constantly invited for presentations and lectures at different academic and professional organizations and has published over 60 articles and abstracts.